The MEAC brings home some All American performances from the NCAA Championship. 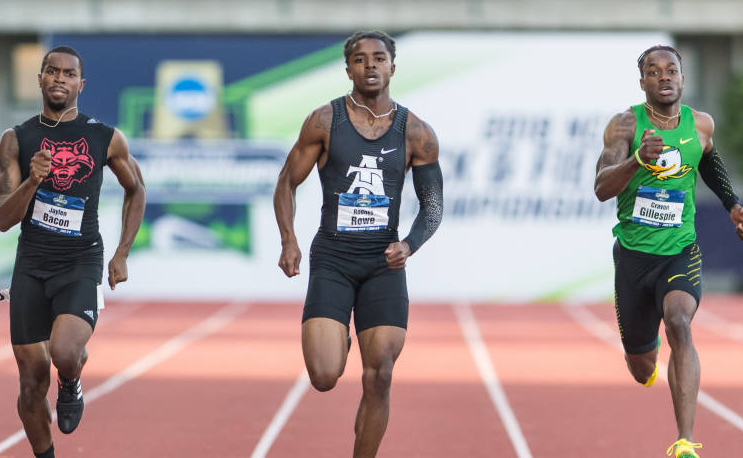 No HBCU athlete won a national title this weekend at the Track and Field Championships but there were still victories. Finishing in the top eight of the field ensures first-team All America status, and HBCUs were represented in that regard. Tyrell Richard from South Carolina State finished fifth in the 400-meters finals at the NCAA Outdoor Track and Field Championship in Eugene, Oregon. He ran a time of 45.10 in the race won by Southern Cal’s Michael Norman in a collegiate record time of 43.61. The 4×100 meters relay team from North Carolina A&T picked up an eighth-place finish. Joel Thomas, Michael Dickson, Michael Bell and Rodney Rowe earned All America honors. Rowe became a three-time All American for his career after running a 20.52 in the 200-meters final. That was good for a fifth-place finish. Norfolk State’s Martha Bissah earned first team honors as well. She finished sixth in the 800-meters final running a 2:06.79.